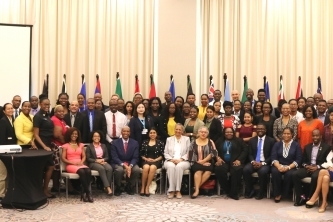 The Caribbean forum will contribute to creating synergies between youth policies and broader development frameworks, including the Montevideo Consensus on Population and Development, the SAMOA Pathway, the SDGs as well as sectoral plans at national level. It will give young people an opportunity to engage directly with public policy making and put youth perspectives at the centre of the social policy dialogue. Meeting participants will identify actions to ensure greater attention to youth issues, and youth participation, in sectoral policies and international development frameworks. The forum is being jointly convened by the Caribbean Community Secretariat (CARICOM), the Economic Commission for Latin America and the Caribbean (ECLAC), the United Nations Population Fund (UNFPA) and the Caribbean Development Bank (CDB) with the collaboration of the CARICOM Youth Ambassador Corps (CYAs), the Caribbean Regional Youth Council (CRYC) and the University of the West Indies’ Students Today, Alumni Tomorrow (UWI STAT). 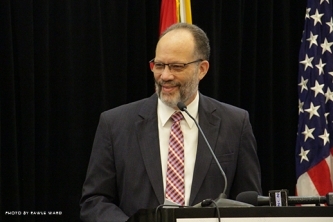 The Caribbean forum will identify actions to promote greater attention to youth, and youth participation, within the implementation, monitoring and follow-up of two important development frameworks: the Sustainable Development Goals (SDGs) and the Montevideo Consensus on Population and Development. 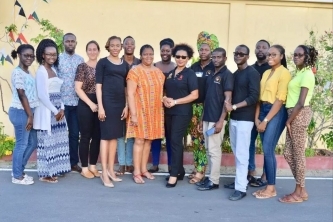 In respect of the SDGs, it will afford the multiple stakeholders involved in supporting the planning, implementation and monitoring of youth-related SDGs in the Caribbean with an opportunity to design a Caribbean Youth Platform for the SDGs, in order to support member States and youth in the implementation of the 2030 Agenda. Meeting participants will also identify actions to further the implementation of the Montevideo Consensus in the Caribbean with a particular focus on the way in which population and development issues impact upon youth. The recommendations from the Caribbean forum will be presented at the Third Session of the Regional Conference on Population and Development in Latin America and the Caribbean and will guide the further implementation of the Montevideo Consensus. 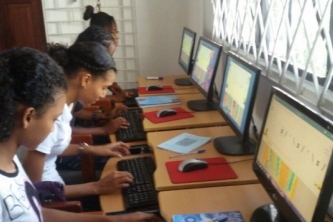 The importance of progressing youth policies in the Caribbean. 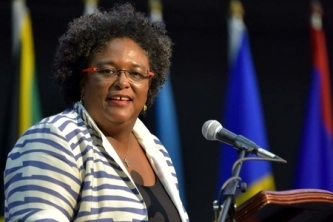 There will be introductory statements by representatives of the Economic Commission for Latin America and the Caribbean (ECLAC), the CARICOM Secretariat, United Nations Population Fund (UNFPA), host country, the CDB and a youth representative. 2. Presentation of a Report on the Implementation of the Montevideo Consensus on Population and Development and discussion of national experiences in the implementation of the Montevideo Consensus. ECLAC will report on the status of implementation of the Montevideo Consensus on Population and Development in the Caribbean subregion five years after its adoption. The report will be based on information compiled by ECLAC subregional headquarters and national reports provided by member states where available. A summary of the common themes which emerged from the national reports will be presented and there will be a discussion featuring selected representatives of member States who will share their experiences of monitoring and reviewing the implementation the Montevideo Consensus. 3. Report on youth policies and programmes, and preliminary proposed recommendations. 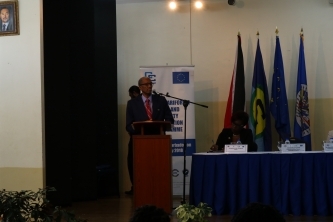 The CARICOM Secretariat and the CARICOM Youth Ambassadors will report on where the subregion stands with regard to youth policies and programmes twenty years after the Lisbon Declaration on Youth Policies and Programmes. It will identify gaps and future priorities and there will be a discussion of the proposed Caribbean Youth Development Platform. 4. 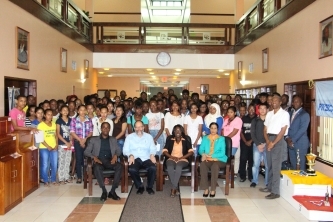 Thematic and special sessions on issues affecting Caribbean youth. Assessing the implementation of Youth policies and programmes in the Caribbean: frameworks for follow-up and review: In this session, facilitated by CARICOM, the participants will address the main policy frameworks for youth development at subregional level and discuss institutional mechanisms for implementation, monitoring and review processes. The session will address coordination aspects and consider the ways in which governments and other organizations can promote a more effective and integrative implementation and follow-up system. The meeting will examine various common denominators, discussing aspects such as the main challenges faced in adopting an implementation strategy and discussion on technical assistance needs to support the development and implementation of integrated youth policies and programmes. Good practices exchange in Caribbean Youth Policies and Programmes: inter-sectoral aspects of youth development: This panel will present and discuss inspiring case studies from Caribbean youth policy and programmes, looking in particular at inter-sectoral aspects of youth development and the importance of addressing transdisciplinary approaches that may promote integration of different thematic and cross-cutting policy areas of youth development. The session will examine common success factors and good practices. Youth thematic sessions: Thematic sessions will explore youth policy achievements and challenges across thematic priority areas. The sessions will consider the current state of play and strategies to respond to challenges in relation to their theme. Discussions will focus on features of enabling environments and how to maximise them. In thematic sessions risks, potentials, and good practices will be analysed putting focus on the following key issues “Youth employment and opportunities”, “Access to appropriate education and training programmes” and “Youth political and civic participation”. Mobilizing young people in the response to the 2030 Agenda: A session about the involvement of young people in the SDGs – with youth participants from the region. A summary by the reporting team and reflections by the General Rapporteur of the meeting will be followed by statements of and discussions with the meeting’s main representatives, focusing on the way ahead and actions needed to be undertaken in the coming years to take youth policies forward. 6. Thematic sessions addressing other population, youth and development issues. Further thematic panel sessions will be held to address a wider range of population and development issues. 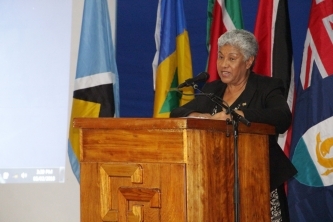 An intergenerational dialogue: Intergenerational relations are fundamental to cohesive societies and with the changing age structure of Caribbean populations, there is a need to reconsider and renegotiate these relations. Both young and old benefit from intergenerational relations: in the family, the community, the workplace and as either carers or recipients of care. Intergenerational relations also take a financial form: either private or social transfers which fund education, living expenses or health care. This session will consider some of the implications of population ageing for intergenerational solidarity and relations. It will feature contributions from youth, older persons and those of working age, the so-called sandwich generation responsible both for bringing up their own children and for the care of their ageing parents. The session will consider the ways in which governments and other organizations can facilitate and support intergenerational relations. Promoting the Right to Sexual and Reproductive Health and Gender Equality: universal access to sexual and reproductive health and rights, including for adolescents and youth, are essential for the enjoyment of other rights, for the achievement of the sustainable development goals and poverty eradication. This panel will consider how universal access to high quality reproductive health care and family planning services can be achieved and how legal and socio-cultural barriers to sexual and reproductive health services can be overcome. It will pay particular attention to adolescents and youth including from marginalized groups, and advancing gender equality though addressing gender-based violence. Migration, territorial inequality and development: Migration plays a major role in shaping the social and economic development of the Caribbean with particular implications for children and young people, either as vulnerable migrants or the left-behind. Drawing on national experiences and examples of good practice, this panel will examine how migration policy can address issues such as the protection of vulnerable migrants; loss of skilled human resources from sending states; encouraging return migration; and relations between sending and receiving countries. It will also consider spatial planning, territorial inequality and vulnerability. 7. Consideration of the recommendations of the meeting. The meeting will be closed by a discussion of the conclusions of the meeting which will consist of recommendations to guide the monitoring and further the implementation of the Montevideo Consensus on Population and Development. This outcome document will constitute the Caribbean member States’ input to the Regional Conference.